Writer, entrepreneur and lover of felines (and all furry creatures). You can learn more about me and my connection with felines in my story, All My Children Wear Fur Coats, In the 2016) issuer of Chicken Soup For the Cat Lover's Soul, My Very Good, Very Bad Cat. 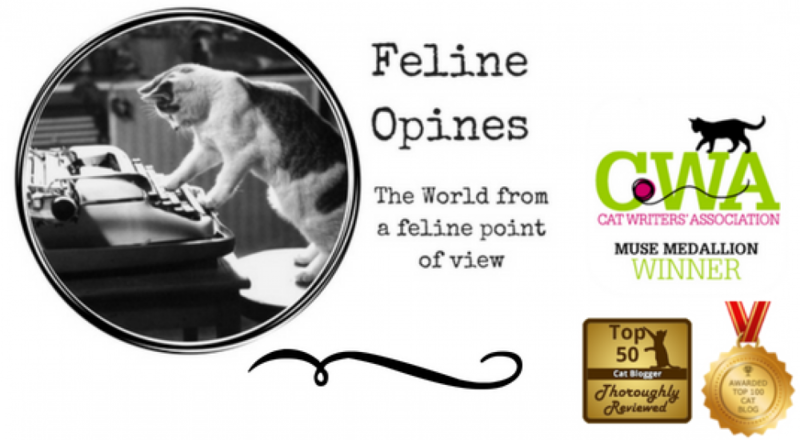 Feline Opines was awarded a Muse Medallion in 2018 from The Cat Writer's Association. The Felines have a book called "Felines Opine on God" available at Amazon & Barnes and Noble and a cozy mystery will be released soon.